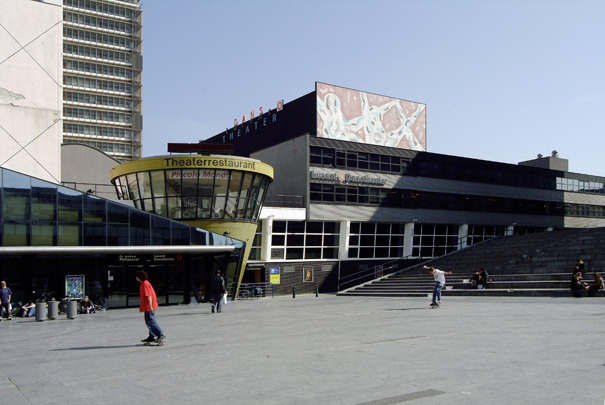 This Dance Theatre, whose original design was destined for a site in Scheveningen, shares its foyer with a concert hall belonging to the Hague Philharmonic Orchestra. The Dance Theatre’s programme is accommodated in three parallel rows: one of offices and studios, one of double-height dance studios and one of the auditorium itself with foyer and stage. The design can be construed as a collage of relatively autonomous components. This cultural ensemble is rounded off with a freestanding hotel slab by Carel Weeber.